Constantin (Con) Greenwald was born November 12, 1925 on a farm near Fusilier, Saskatchewan – which is probably no longer on a map – just west of Kerrobert, Saskatchewan. He was the sixth of eleven children, born to parents John and Pauline Greenwald. John and Pauline were of German descent but had been living in the Volga area of Russia. They emigrated to North America in 1913. When Con was 15 years old the family moved to Battleford, Saskatchewan where Con continued to help on the farm until he served in the Army during WW ll. After the war ended, Con worked in a sawmill in Kamloops, BC until 1948. He then moved to Terrace Bay, Ontario and worked at a Pulp and Paper mill for the next eight years. Con decided to take up a trade as a Steam Engineer and worked at several sites, first in Hinton, Alberta, and then Crofton, BC. It was during this time that he met the love of his life, Ilse Nebelung. They were married in June,1958 and lived in Duncan, BC. Ilse was a wonderful homemaker and an accomplished artist. A few years later – after going back to school at the Vancouver Institute of Technology – he earned his First-Class Ticket. Con was then hired to do a “start-up” of a pulp mill in Mackenzie, BC where he held the title Chief Engineer for the next five years. This job meant travelling to many different countries, observing other mills and purchasing equipment. Vancouver Island was always on both of their minds, so Con and Ilse moved back to Duncan after spending five long winters in Mackenzie. Con retired in 1982. Con was a very active volunteer in the community with organizations such as the hospital board, Knights of Columbus as well as many other agencies. He and Ilse enjoyed travelling to many different countries until Ilse’s passing in 2005. Con moved to Kelowna to be closer to other family members in 2006 where he lived independently for many years before entering Orchard Manor just three years ago. 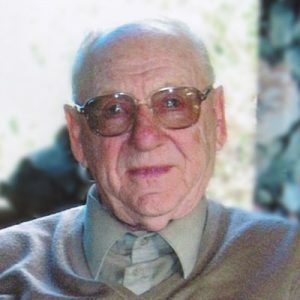 Con passed away on March 18, 2019 at the age of 93. He was predeceased by his wife, Ilse; brothers Jake, Jack, Peter and Alvis Greenwald; and sisters Pauline Gamble, Katherine Scharf, Mary Roblin and Regina Atrens. Con is survived by sisters Edith Christiansen and Delphine (Michael) Stone; and numerous nieces and nephews. Prayers will be held at 7:30 pm on Thursday, March 28, 2019 at St. Charles Garnier Catholic Church, 3645 Benvoulin Road, Kelowna, followed by a Funeral Mass at 11:00 am on Friday, March 29, 2019 with Father Bart van Roijen officiating. The prayer service for GREENWALD, Constantin (Con) is scheduled for Thursday, March 28, 2019 at 7:30 pm at located at 3645 Benvoulin Road, Kelowna, BC. The service for GREENWALD, Constantin (Con) is scheduled for Funeral Mass to be held on Friday, March 29, 2019 at 11:00 am. Below you will find the map for the service location and the contact information should you have any questions. Sorry to read of Con’s passing. Thinking of you and I am grateful for the moments I spent with Con. We’re sorry to hear about Uncle Con. We’re thinking of you all. Tony and I offer our sincere condolences to you and your family. Although we didn’t meet Con until his later years, we enjoyed visiting with him at coffee after the 0830 Sunday Mass. Since we won’t be able to attend his service, we will remember you all on Friday in thought and prayer. My family and I are sorry for the passing of Uncle Con, and offer you our condolences. He was a kind and thoughtful man to all who new him and will be truly missed.. I feel such sadness to hear of Uncle Con’s passing. He was the last male of this generation in the large, loving Greenwald family. Uncle Con’s was a kind, caring man, also special to me because he looked so much like my Dad Jacob. I am grateful to you the Kelowna family for always being there for Uncle Con’s during his final years. He will certainly be missed.